Why AAU Karate? When are the NC AAU Karate competitions? You are on the right webpage! 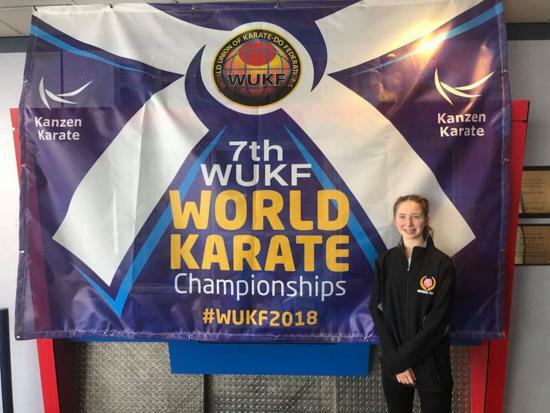 AAU Karate Rules Manual and a table showing changes in use at 2019 State, Regional and National events. July 2-6, 2019 in Ft. Lauderdale. Karate portion of this multi-sport Olympic Games will take place in Grreensboro, NC on Friday and Saturday, July 26 and 27. If your AAU club would like to host a athlete's, officiating, or scorekeeping seminar, goodwill competition, or state championship, let the NCAAU Karate Director help you plan! You'll want to avoid busy weekends and national events, manage your event (venue, staffing, registration, rules), get an AAU license in order to have AAU event insurance, and reach out to traditional karate clubs in our state and surrounding states. 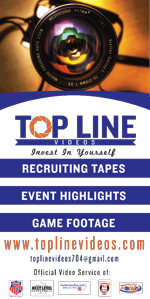 We want to help you grow and succeed! Don't hesitate to call us at 919-844-5555. Dojo Owners and Instructors & Club Coaches and Administrators are invited to join the AAU Karate Group on LinkedIn.com or follow "AAU Karate Program" member profile. 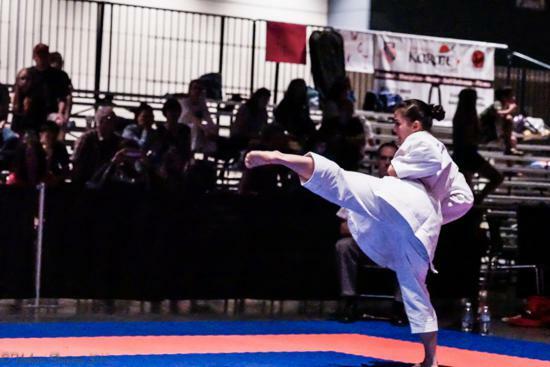 ATHLETES: The national AAU Karate program clearly recognizes the life-long benefits of karate; AAU Karate has the largest and best developmental program for new karate competitors and an elite program for seasoned athletes that includes national and international competition. On Mar. 3, 2018 at the NC State Championship, we will also offer Pee Wee (ages 3-6), Special Needs Youth and Special Needs Adult Divisions. All athletes in these divisions will receive medals. COACHES & OFFICIALS: For ex-athletes and still competing adults, the coaches' program and officiating program are ways to continue growing in karate. AAU Karate is designed for traditional Japanese and Okinawan karate. >Submit your event for posting. The following dojos and gyms competed with NCAAU Karate in 2017, 2018, and 2019. Contact one to get started with AAU Karate. Please note that these are ESTIMATED start times for April 27, 2019. 8:30 AM Doors open to the athletes and public. 9:00 AM Officials Meeting at the top of the day. AAU karate club instructors, coaches, and top athletes are welcome to attend. Know the rules, ask questions, meet other clubs. Throughout the day - Concessions will be sold on-site, please post to social media (Facebook, Twitter, and Instagram) using hashtag #ncaau and #aaukarate and pick up information about National Competition at the AAU Table near Concessions.